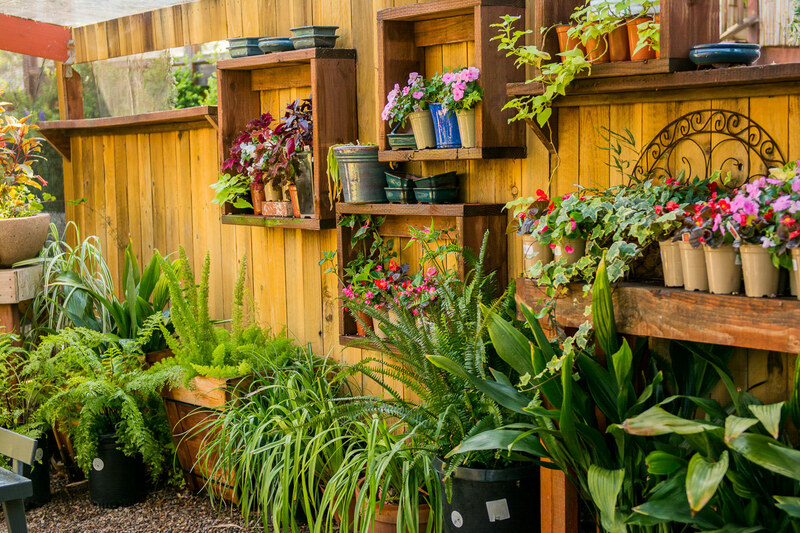 Dubbed “One of San Diego’s top ten nurseries!” by San Diego Home/Garden Magazine, Barrels & Branches is truly a hidden sanctuary. Hidden behind a long wall near the end of Santa Fe Drive in Encinitas, the moment you pull into the parking lot, you’ll wonder why you hadn’t found us sooner. 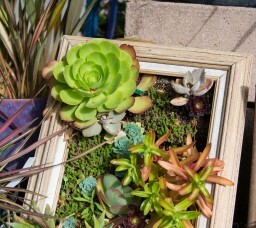 You’ll be left to wander our lush garden, filled with climate-appropriate plants, a vast selection of succulents and cactus, pottery, unique gifts, garden accessories, succulent-planted driftwood, succulent bowls, outdoor furniture, organic dry goods, and all the supplies you’ll need to create and maintain your garden. Not only that, but our knowledgeable staff will help you find exactly what you’re looking for! Part of what makes Barrels & Branches so special is the property itself. 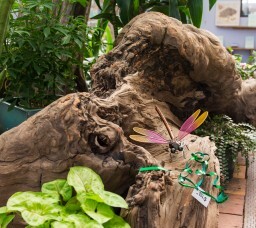 The layout of the nursery was intended to both inspire visitors as well as to educate. 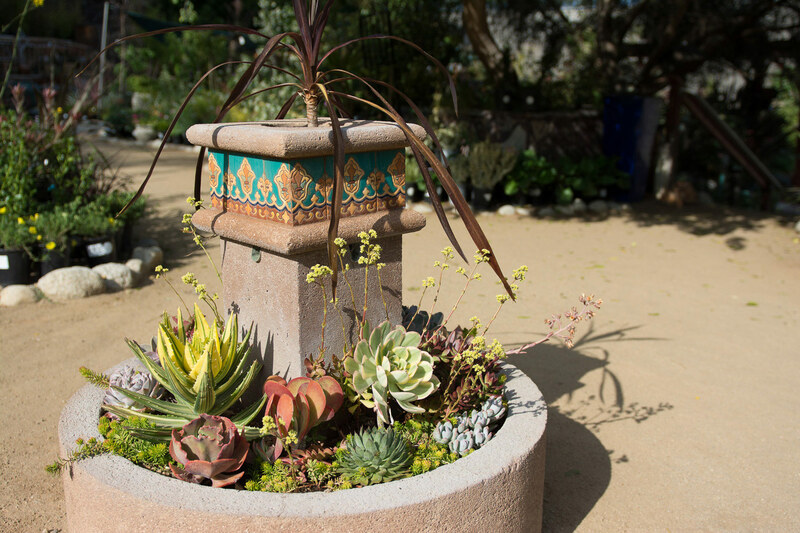 Part botanical garden, part retail space, display areas showcase a host of plant combination possibilities while planter beds are living examples of what can be created in a garden. 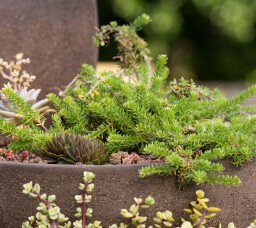 All emphasize plants that do well in Southern California gardens. 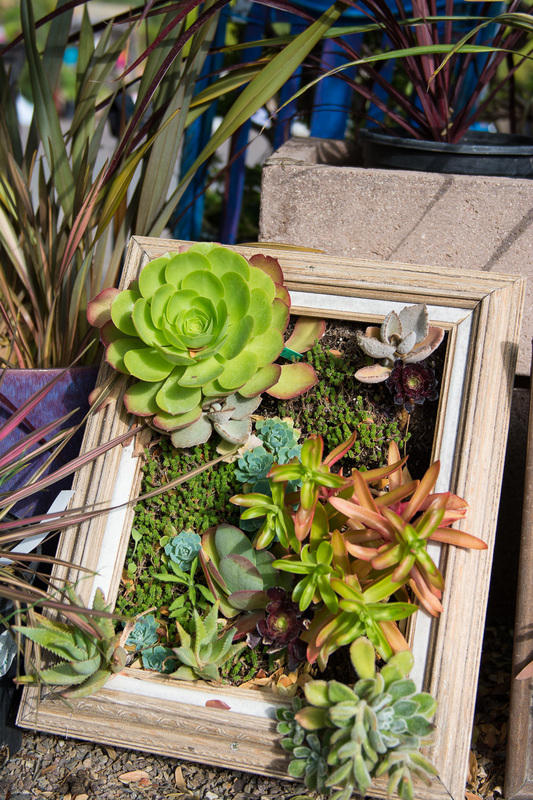 San Diego County’s climate is a diverse one. 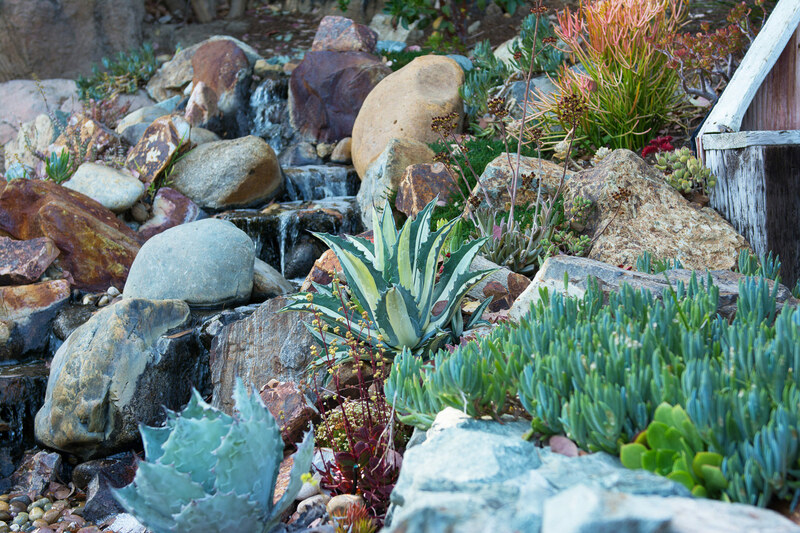 Our customers live from the ocean to the desert, some with sunny or shady exposures, some contending with windy or frost-susceptible areas. 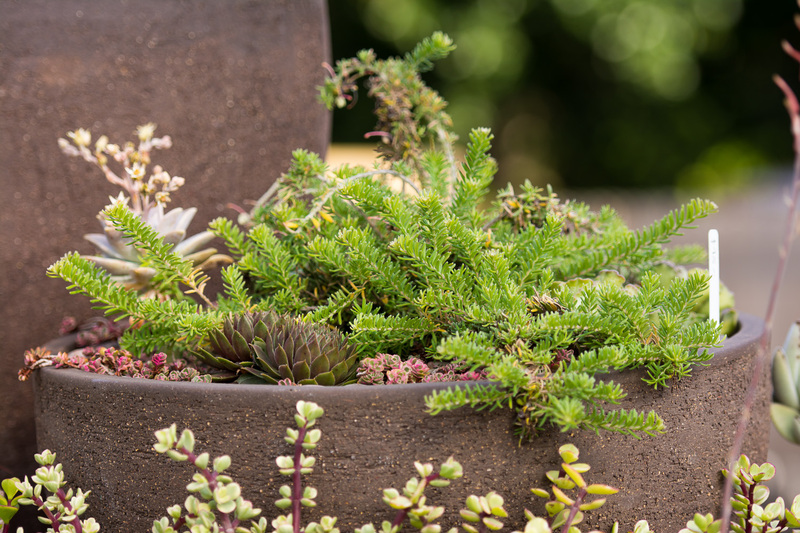 We pride ourselves in providing appropriate plant material for all of the region’s microclimates, while specializing in drought-tolerant, hardy plants, as well as a plethora of perennials, clumping grasses, trees, shrubs, and house plants. 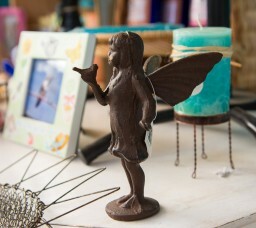 Barrels & Branches isn’t just known for the ordinary, however. 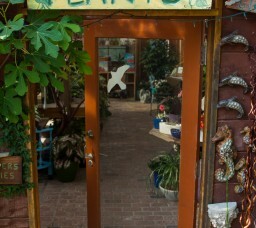 We also have a well-earned reputation for carrying a wide selection of unusual plant material. 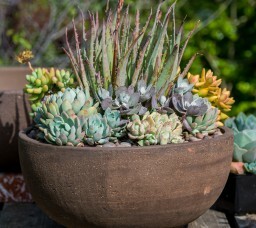 These include euphorbia, acacia, leptospermum, leucadendron, grevillea, adenanthos, lomandra, melaleuca, westringia, and many other unique, drought-tolerant plants from South Africa, Australia, New Zealand and the Mediterranean that thrive in our temperate climate. 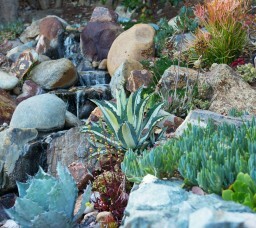 We are a great resource for planning your water-wise designs. 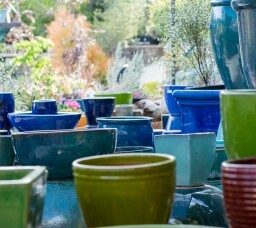 Our garden center has a wide selection of pottery from all over the world, including pieces made locally. 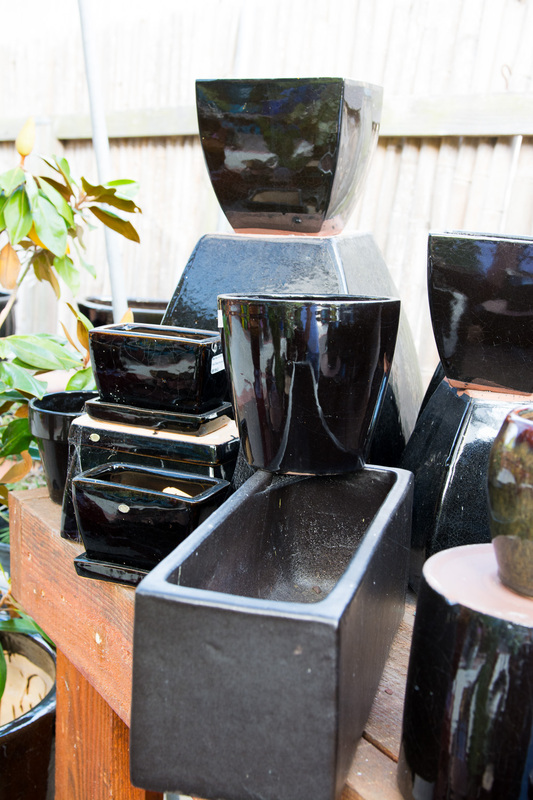 We carry a diverse range of metallics, drip glazes, rustic, textured and waffled pottery in an array of shapes and colors. 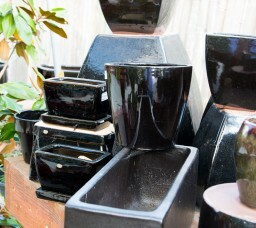 Our broad selection includes orchid pots, herb pots, bowls, birdbaths, urns, saucers, and pot feet. 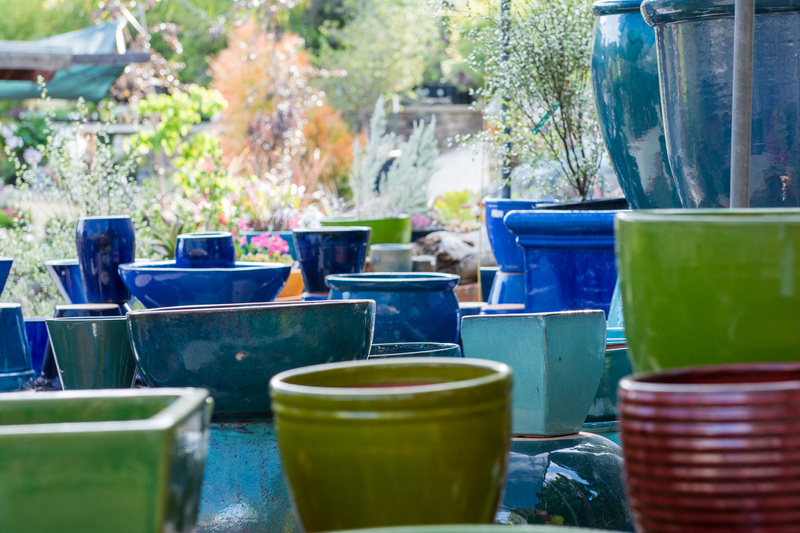 If there’s something you’re looking for that you can’t find in our large garden inventory, please ask and we can check if it is available for special order. 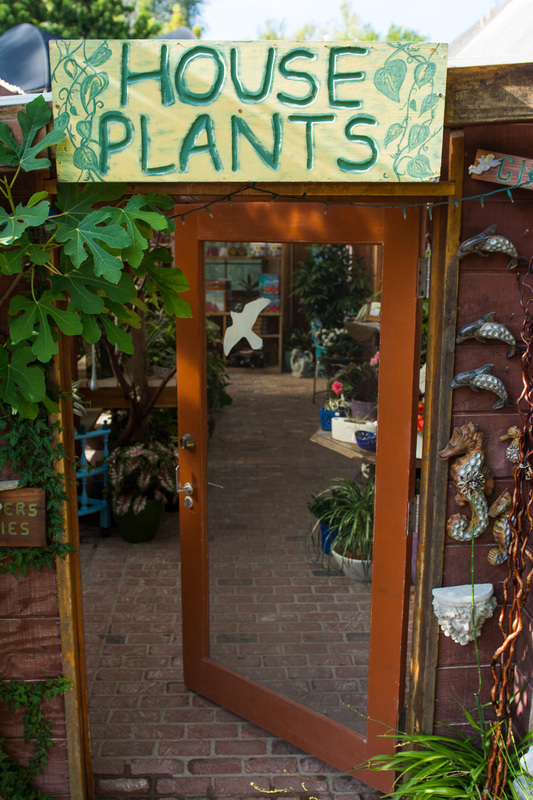 Barrels & Branches carries a full line of the following organic dry goods companies: E.B. Stone, Fox Farm and Agrowinn. 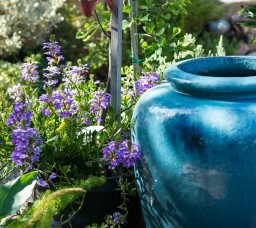 We support the efforts of organic gardening. 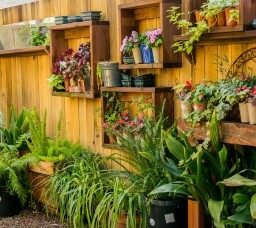 This method of gardening utilizes only naturally occurring animal and/or plant material fertilizers with no use of man-made chemicals or pesticides. Barrels & Branches prefers to use OMRI-certified products (those that have been reviewed against the USDA’s National Organic Standards and have been certified by the Organic Materials Review Institute). Our E.B. 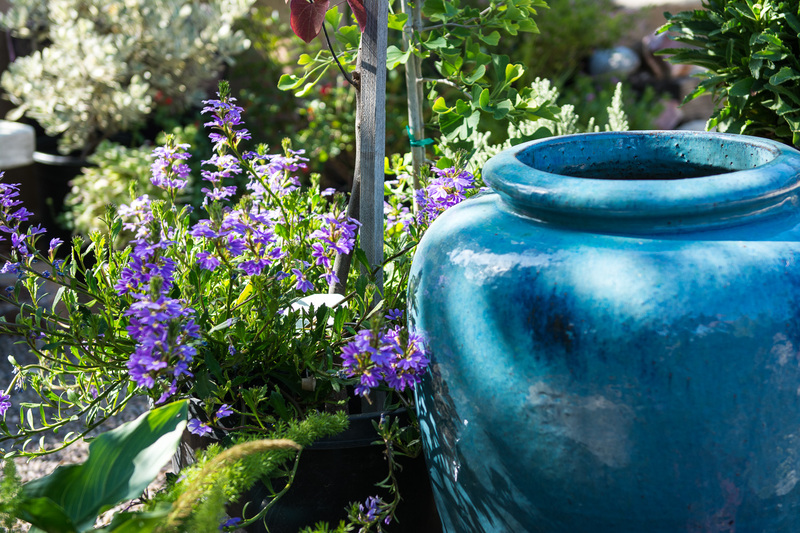 Stone, Fox Farm, and Agrowinn Fertilizers have been proven to be good for the environment, and your garden. 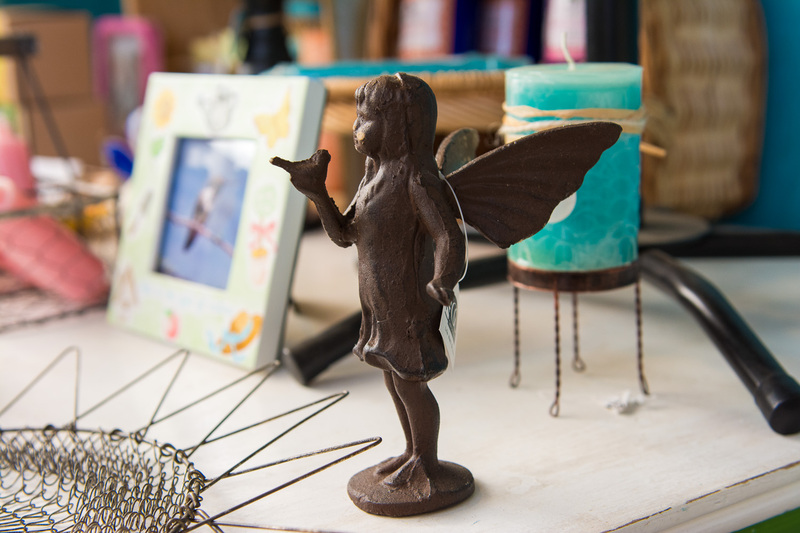 Come pick up some of these great products today! 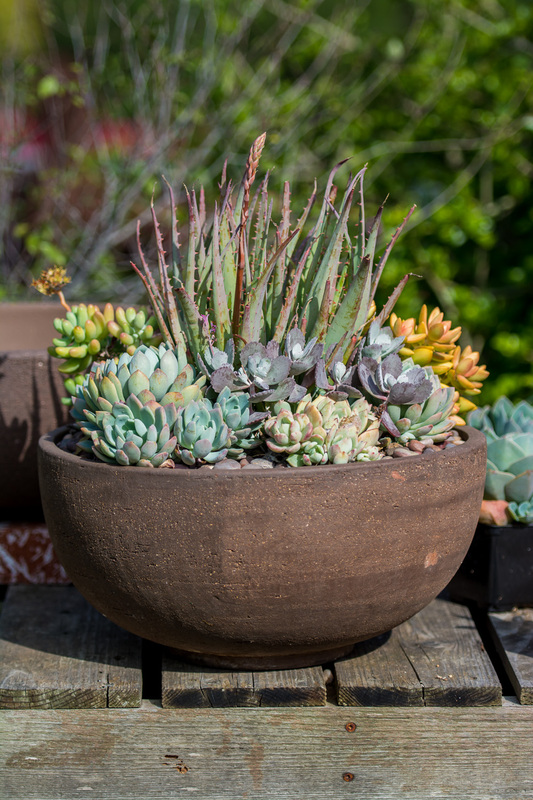 Choose a pot and plants, and we can create a custom succulent bowl for you. 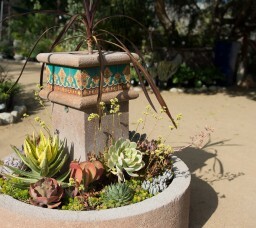 We can also assist you in choosing the various components for your custom succulent bowl. 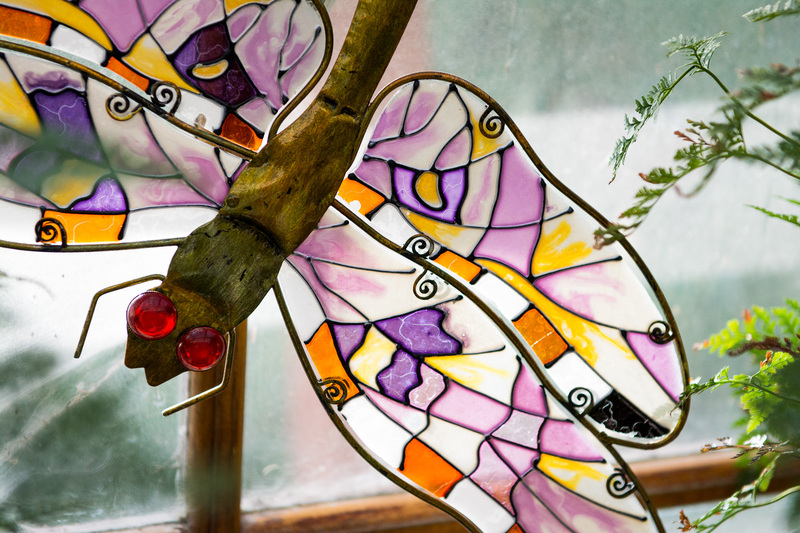 Our Gift Shop features houseplants, tillandsia (airplants), gift items, garden tools, handmade candles, pottery, art & photography from local artists that changes throughout the year. Follow us on FaceBook or Instagram or join our mailing list so you don’t miss out on any of our sales or events. Looking for a great spot to hold your next party or get-together? Our unique space makes for a fresh location for a meeting, party, or any event. Hang out and soak up the beautiful views from our tree-top deck. 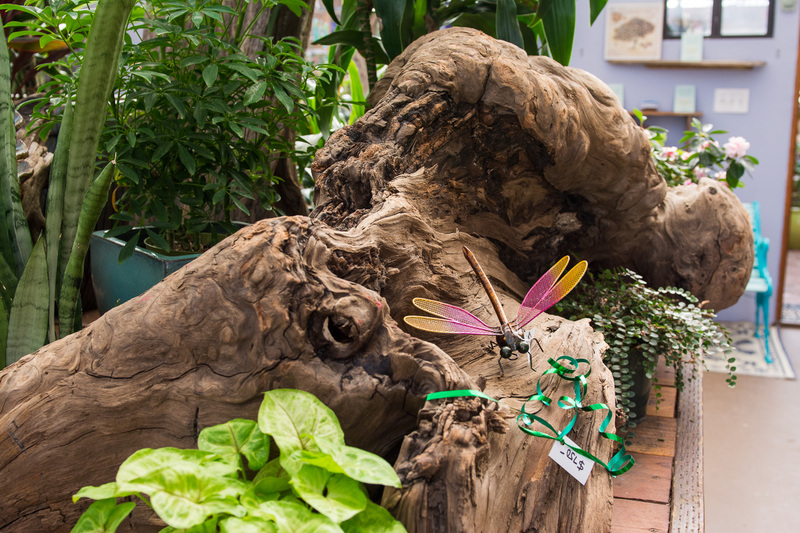 Our multi-level property and pathways encourage mingling and socializing while enjoying the gardens. 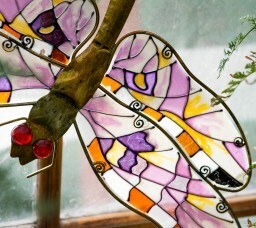 We’ve hosted wine tastings, book signings, cooking demonstrations, birthday parties, baby showers, weddings, fundraisers, art shows, concerts, and workshops. Consider renting our tree-top deck or one of our other spaces for your next event.